Serving Up Swordfish at Sun Fish Grill! 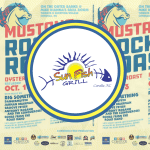 Sun Fish Grill in Corolla Serves Up the Best Swordfish in the Outer Banks! Perfect for grilling with a firm texture, swordfish offers a mild taste with just a touch of sweetness. It doesn’t have that heavy fishy taste like many seafood dishes. Our swordfish is perfectly seasoned and grilled to bring out the unique flavors of this sea delight. When prepared right, swordfish can be one of the best things you have ever eaten off of a grill. If it is the off season and you just can’t make it to our Outer Banks Seafood restaurant in Corolla NC I found a link to a Youtube video that shows how to grill swordfish. 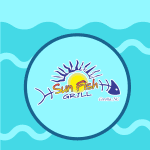 I personally would recommend waiting until the Spring and Summer when the Sunfish grill is in full gear and let us make it for you. Nevertheless here is the clip. Mussell Mania at Sun Fish Grill! 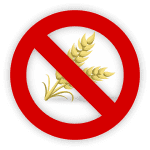 We will reopen May 2019.